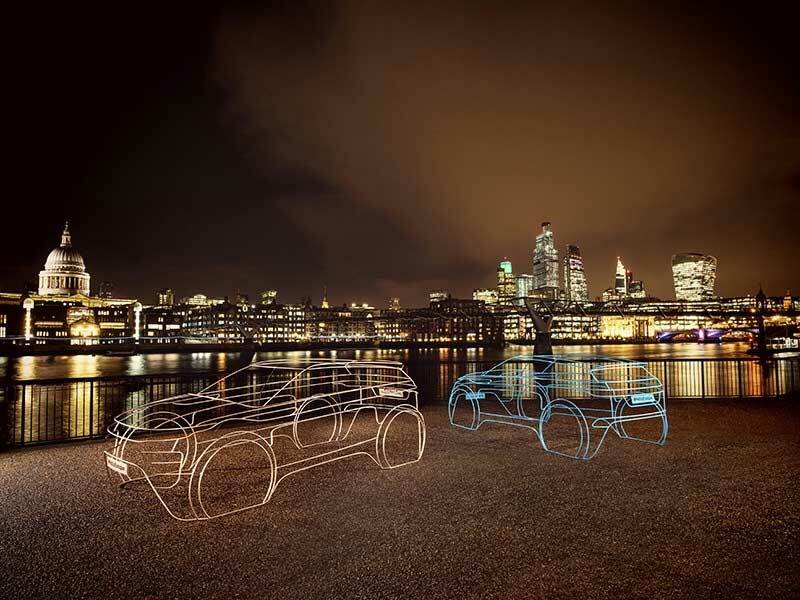 Land Rover is planning to cap a year of celebration and achievement with the launch of the second-generation Range Rover Evoque, one of their most successful vehicles ever. The official launch is set for Thursday, November 22nd at 7:45 PM UK time, 2:45 PM Eastern Time, 11:45 AM Pacific Time. It will be live streamed on Land Rover’s Facebook and YouTube pages. 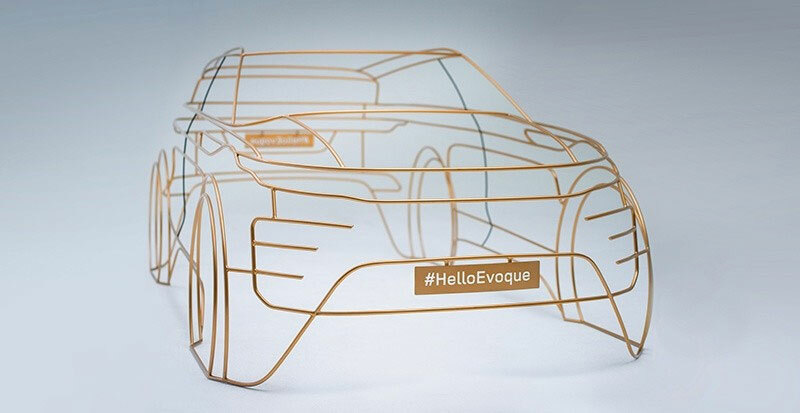 To prepare, wire form models of the new vehicle’s general shape are appearing across London’s exclusive Royal Borough of Kensington and Chelsea. They outline the basic shape of the vehicle, which while it isn’t wildly different from the current model, does seem to take cues from the Range Rover Velar, such as the wraparound rear light bar. The new Evoque still looks a lot like the original, though, including the immense, haunched wheel arches, severely-sloped roof, and upward-sloping beltline. Since the Evoque set the standard for Land Rover's current design language in 2011, the new generation is destined to be more evolution than revolution. Though it might not be the new Defender launch diehard Land Rover enthusiasts were looking for to cap off the 70th Anniversary celebration year, the Evoque is a huge moneymaker for the company at a time when they are facing some financial obstacles at home and abroad. They have sold 750,000 of the first generation in just eight years, and the new design, taking cues from the extremely popular Range Rover Velar, should give 2019 a sales bump.